Okay, this looks like a bowl full of mess, you’re right. Let me explain what happened to this bowl of ice cream, though. I churned the ice cream last week and put it in the freezer to harden up, so that it would look better for photographing. When the time came, later in the day, I set up the area where I’d be taking the pictures. 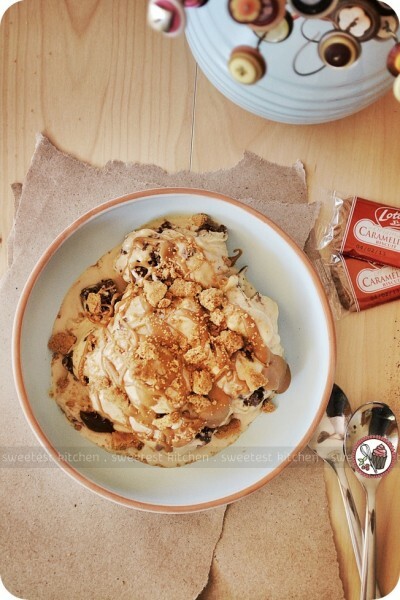 I then scooped the ice cream into the bowl, drizzled melted Biscoff over it and crumbled a Biscoff cookie on top. I got my camera from my camera bag, turned it on, and framed my first photo. I clicked the shutter. Nothing happened. I tried again. Nothing happened. Upon closer inspection, I realized that my camera battery was dead. And my ice cream was melting. I put the bowl of ice cream into the freezer, and put my camera battery in the charger. About 5 minutes later, I removed the battery and put it back in the camera. I took the ice cream out of the freezer and placed it back on the set I had prepared. It was pretty much too late for the ice cream, though, as it had already melted quite a bit. Since I got my new ice cream maker, I have noticed that homemade ice cream melts faster than store-bought. If I’m going to photograph my homemade ice cream in future, I have to remember to be sure my camera battery is charged! So that explains why my ice cream looks so messy, but yet to be explained is what this ice cream actually is. 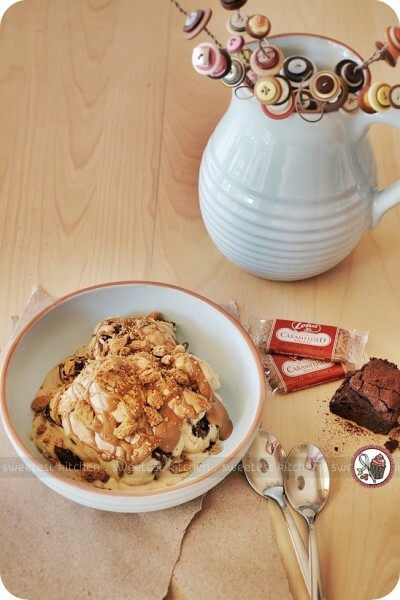 It’s a delicious combination of Biscoff ice cream, gooey chocolate brownies and chocolate fudge swirl. It’s better than any tub of Ben & Jerry’s (no offense, Ben & Jerry!). In fact, I hid the container of this ice cream behind bags of frozen peas and raspberries, and a couple boxes of frozen fish, just so that no one would find it. Actually, I did share some with my 7-year-old daughter, who loved it just as much as I did. Just to be extra-extravagant, I warmed a scoop of Biscoff spread and drizzled it on top of the ice cream. But I couldn’t stop there. I also crumbled a Biscoff cookie over the entire bowl. *blush* This is getting kind of embarrassingly extravagant. 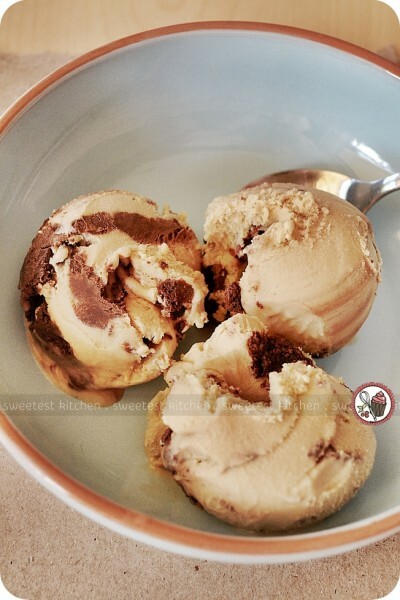 Let me talk you through the various recipes I used for this decadent ice cream… First up, the ice cream base. 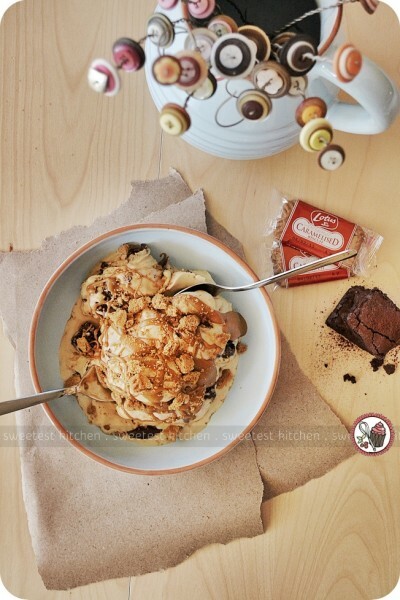 It’s my adaptation of Billy Law‘s peanut butter ice cream recipe, which you can find in his new cookbook, Have You Eaten? . 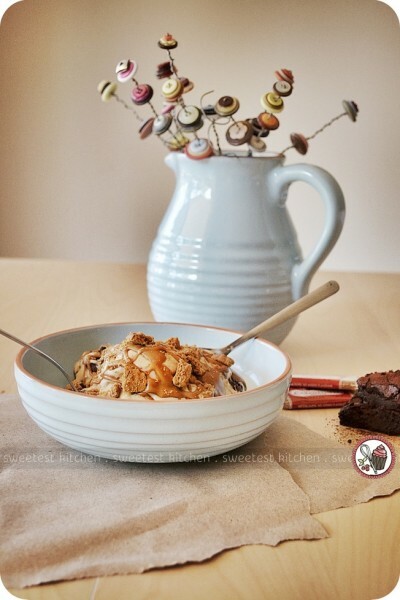 I made the peanut butter ice cream earlier and loved it, and thought it would be even better if I substituted creamy Biscoff spread for the peanut butter. What an excellent idea this turned out to be! Besides leaving out the peanut butter and replacing the full amount with Biscoff, I also completely left out the honey. Buy Billy’s book for the original recipe, and just do what I did to make Biscoff ice cream. Alternatively, choose an existing Biscoff ice cream recipe by searching on Google, or substitute Biscoff for peanut butter in most peanut butter ice cream recipes. Next, the brownies. Again, this is a recipe from Billy Law’s cookbook. These brownies are the ultimate brownies. So fudgey and chocolatey and delicious. Billy’s original recipe also uses peanut butter and macadamias, but I left these out. To add brownies to your Biscoff ice cream, buy Billy’s cookbook for his recipe, or choose your own fudgey brownie recipe. To use them in your ice cream, follow the recipe to prepare the brownies, and after they have cooled completely, cut the batch in half and place one half in the freezer. The other half you can give to friends or family. I recommend putting the brownies in the freezer so that they will be easier and cleaner to cut into small chunks. 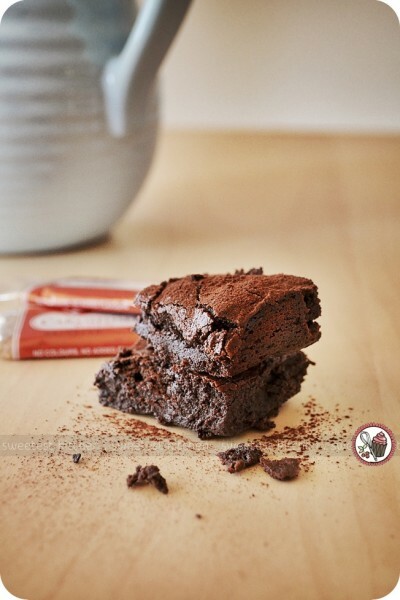 Once frozen, use a sharp knife to cut the brownie into bite-size chunks. Use as many or as little chunks as you like. Once cut, place the chunks in a ziploc bag, or something air-tight, and put them back in the freezer until needed. Lastly, for the fudge swirl, I used this recipe. Now, to get this ice cream and add-ins all in the same bowl…. assuming you have already made the ice cream base and it has been chilled completely in the refrigerator, churn it in your ice cream maker as per instructions. Once finished, scoop out some ice cream and spread it out on the bottom of a freezer-safe container so that it’s flat. Toss some brownie chunks on top and drizzle over a bit of fudge sauce. Working quickly, before the fudge sauce sets, swirl the fudge into the ice cream with the tip of a butter knife. Then repeat the layering. Cover the ice cream tightly and freeze until set (or eat straight away, if you’re into that sort of thing). To serve it the way I did, just melt a few scoops of Biscoff spread in the microwave (about 10-15 seconds, or just until warm and it’s of drizzle-able consistency), pour it on top of the ice cream, then crumble a Biscoff cookie over the entire bowl. If you’re in Australia, you won’t be able to find Biscoff spread, unfortunately, unless you have a friend traveling to the US or your family lives there. Luckily, I have family in the US that can send some to me. However, I can help you out with the Biscoff cookies as a local confectionery shop has just started selling these tasty little morsels. 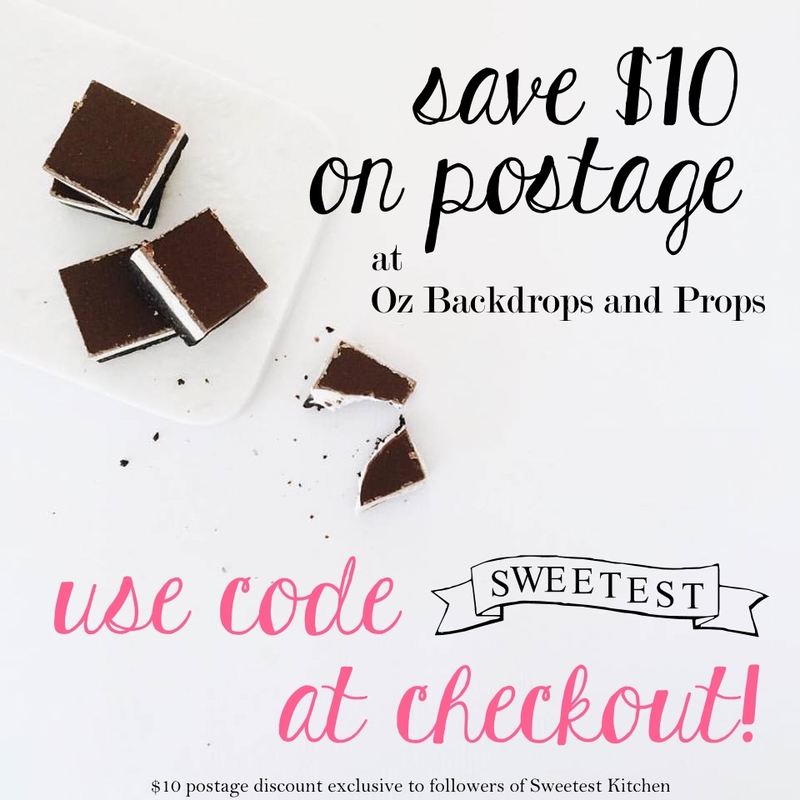 Read my post about where you can find this shop, or information on how you can have a package of them posted to you. And what does my ice cream actually look like when it’s not all melted? “I hid the container of this ice cream behind bags of frozen peas and raspberries, and a couple boxes of frozen fish, just so that no one would find it.” – HAHA! I do that sort of thing ALL the time. This looks so good. I thought I disliked Biscoff for *years* until they were out of pretzels on a plane last year and Biscoff was my only option. And they were SO GOOD. Don’t know what I was thinking. I never thought to add to ice cream but man, does that look tempting! Oh I have had that happen to me before! It’s worse when you specifically go somewhere to take photos and you go to switch your camera on – and it’s dead. That icecream looks amazing! You are turning into a pro! Melted or not, this ice cream looks amazing (I like mine a little melted anyway)!